While "missions" used to be the territory of experts and missionary professionals, globalization has made the issues and needs of our world accessible to average Americans. Many American Christians feel overwhelmed by the scope of the brokenness in the world and conclude all they can do is go on with their lives. Others respond by giving and praying, and still others want to do more. 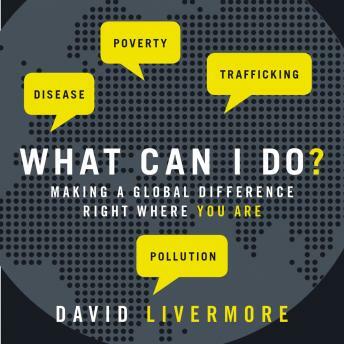 What Can I Do shows that global mission is something we all can be part of in tangible ways. And while that might include going on a short term mission trip or providing financial support, there are many more ongoing and holistic forms of engagement. This book helps readers see that the roles they already have-business leader, scientist, teacher, student, parent, or neighbor-can provide ways to engage in global mission. Mission is what we were created to do. It includes evangelistically calling people to follow Jesus wherever we go, whatever we do. But it's more than that. This book will help us explore the way our ordinary, everyday tasks of work and life can be part of God's mission to heal a broken world.